The Ballard neighborhood Seattle is a popular choice for many home buyers and like much of Seattle has seen a strong seller's market since the market started heading upward in 2012. 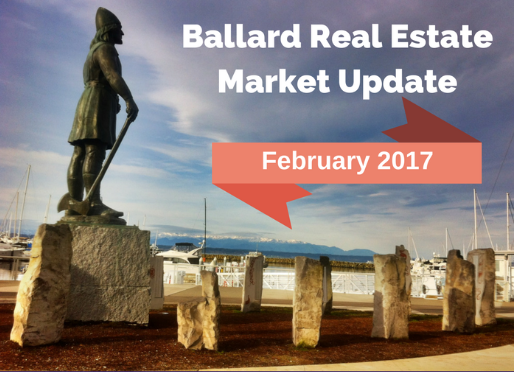 However, over the past few months Ballard real estate, like the rest of Seattle, has started to show signs of slowing down. So what's the current state of affairs? 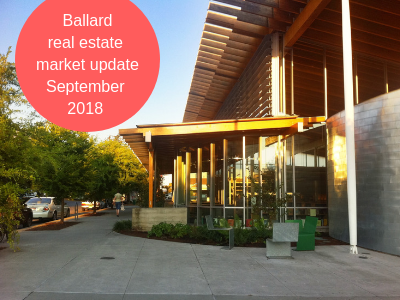 If you are interested in Ballard Seattle homes for sale, this post provides you with an update on the most recent numbers and will give you a good idea of how the real estate market is doing in this Seattle neighborhood. 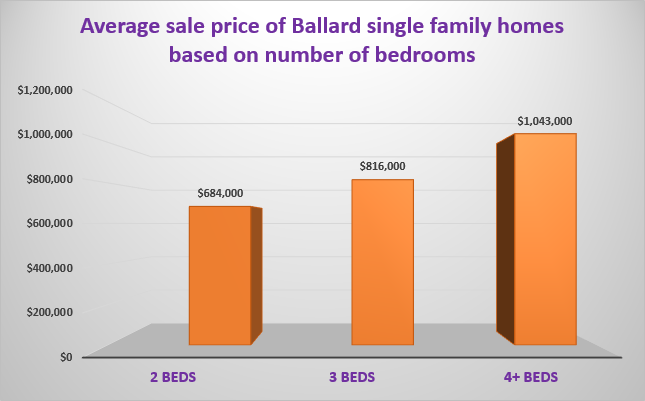 I looked at the sales of both Ballard single-family homes (houses and townhomes) and Ballard condos. For more reliable real estate statistics, it is always better to look at a larger area and longer-term trends than focusing in on any single month. All data was taken from the Northwest Multiple Listing Service (NWMLS) and includes the latest data (August 2018). Note: for the purposes of this post, I combined data for the neighborhoods shown in the map below. Yes, this is not just Ballard but if you look at just Ballard sales in isolation there would have been too few sales to generate reliable statistics. 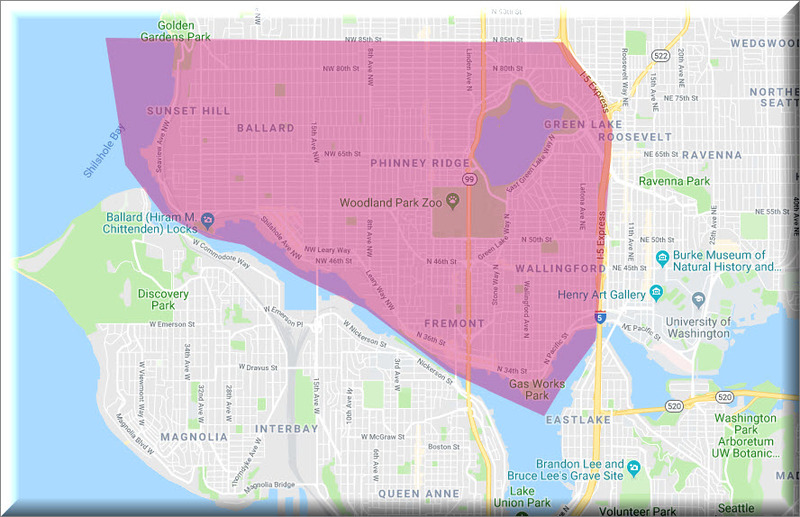 Plus, these adjacent neighborhoods would be expected to behave in a similar manner to Ballard home sales. 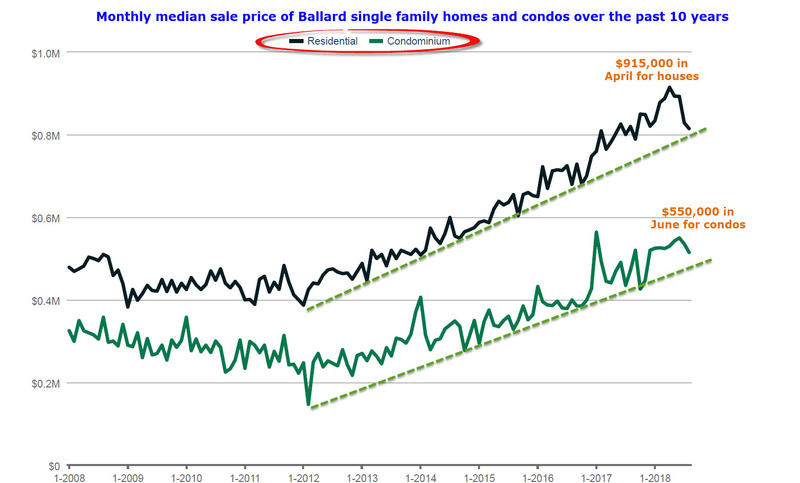 First, let's take a look at Ballard home prices. The graph below shows how the monthly median sale price of both single family homes (houses and townhomes) and condos has varied over the past 10 years.